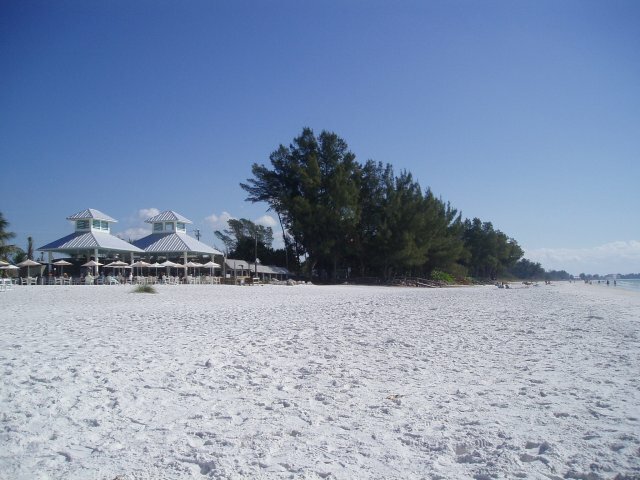 On our last trip to Florida we spent a lovely day at Anna Maria Island, situated on the west coast of Florida near to Bradenton. The day was made really special by our lunch at the Sandbar, so I thought you might like an insight of the lovely restaurant. We had lunch there last December, and it was a beautiful sunny day, not too hot and perfect for sitting out on the decking of the outdoor eating area under the shade of the parasols. There is a large indoor part of the restaurant for dining should the weather be not to your liking for outdoor dining. We were well looked after by our server, who gave us plenty of time to study the varied menu, which had lots of seafood specialities, and they all sounded so delicious it took us a while to decide. The children soon chose their meals, and sat playing in the soft white sand close to where we sat sipping our ice cool drinks the table. Never has the wait for your meal to be served been quite so pleasurable and relaxed. My daughter wanted a pasta dish, but didn’t like the peppers, so they cooked it especially for her without them. It was delicious, plenty of seafood and a creamy sauce. I was quite boring with my choice and chose battered white fish,and I am not sure if it was cod but it looked and tasted like it. I have to say it was the best I have ever tasted, the batter light and crisp and the fish fresh and very tasty. On the menu at lunch are dishes such as seafood Mar Vista, sautéed shrimp, scallops and fresh fish with garlic and herb butter, white wine, mushrooms and artichoke hearts, served over linguine. Also delicious was the Quesadilla, which is black beans, grilled chicken and cheese served with salsa, sour cream and guacamole. The Cajun shrimp is also to be highly recommended. The children ate every bit of their meals, and went back to play on the sand and paddle in the clear blue sea, watched by us while we sat sipping a cool beer. It was very relaxing and close to paradise! We were not able to stay for our evening meal but I can imagine that it is fabulous in the evening also. There is live entertainment by local musicians, which would add the atmosphere of this superb relaxed restaurant. Imagine, a wonderfully cooked meal, watching the sunset, a stroll down the long white sandy beach by the edge of the lapping waves……now that is my idea of paradise! Viewed 4598 times since 1 September 2008.